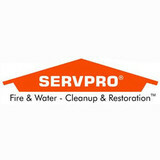 Servpro of Santa Maria has been a brand you can trust and know since 1967. 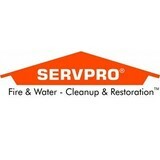 Providing water and fire damage restoration services, Servpro of Santa Maria delivers service to all of San Luis Obispo County, including Santa Maria, Arroyo Grande, Cambria, Cayucos, Creston, Morro Bay, Nipomo, Orcutt, Paso Robles, San Luis Obispo, Santa Margarita, San Miguel, Shandon, Templeton; South Monterey County, including King City, Greenfield and Soledad. Available 24/7 for your emergency needs. 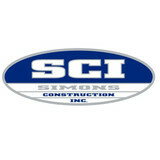 With over 40 years of experience, Simons Construction, Inc. are experts in home repairs, remodels, maintenance, and mold inspection. We can test and inspect your home for mold infestation and are experts at remediation. Your loss will be personally supervised during every step of reconstruction and restoration. Our crew and staff strive to uphold the highest standards of integrity and quality on every project. We do not just have Clients, we have neighbors, we have partners in the community and we want to be there for you! In the event of an emergency our Restoration Crew is available for immediate response to work with local fire and emergency personnel in securing your property and belongings from the elements and unwanted trespass. Mold testing and Remediation. 24 hour water, wind, fire damage emergency service. We will work with your insurance company. Clean, prompt and courteous. 40 years experience. Serving San Luis Obispo and Santa Barbara Counties. Our services come with pre and post remediation testing and reports, a Certificate of Cleanliness, and a Warranty which is transferable. As the first RV dealer in California to sell fifth wheels, Trailer Hitch RV Center is proud to offer a wide variety of new and used RVs for sale. Our selection includes travel trailers, toy haulers, and fifth wheels. Find environmental services and restoration professionals on Houzz. Narrow your search in the Professionals section to San Luis Obispo, CA residential environmental testing and home disaster restoration services to find a list of qualified professionals. Read through professional profiles for information on qualifications, experience and services provided.